ATP-dependent low-affinity peptide transporter which translocates a broad spectrum of peptides from the cytosol to the lysosomal lumen. 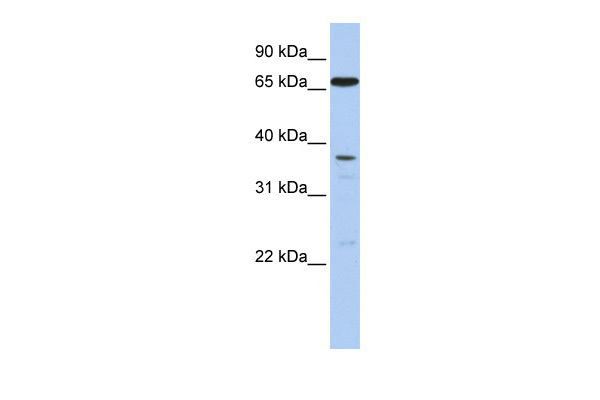 Displays a broad peptide length specificity from 6-mer up to at least 59-mer peptides with an optimum of 23-mers. Favors positively charged, aromatic or hydrophobic residues in the N- and C-terminal positions whereas negatively charged residues as well as asparagine and methionine are not favored. Lysosome membrane; Multi-pass membrane protein. Note: May be located in membrane rafts.